Windstorm Mitigation Inspection can save you money. Living in sunny South Florida our homes are located in a storm-prone area, and because of that Homeowners Insurance becomes a little bit more of a complex issue. The Complexity relates to storm threats inflating your Home Insurance premiums, because storms are such a big Insurance and financial risk. You definitely don’t have to subject yourself to higher premiums even if we are located in an area that is vulnerable to damaging windstorms and hurricanes. A Windstorm Mitigation Inspection, will help to determine what credits you receive on your Homeowners Insurance premium. What is a Palm Beach Windstorm Mitigation Inspection? A Windstorm Mitigation Inspection is an official protocol through which Inspectors assess your home. This is carried out with a visual Inspection to determine how appropriate your home’s building structure is in withstanding the effects of strong winds such as hurricanes, tornadoes or windstorms. Money Saved through Windstorm Mitigation Goes Beyond Homeowners Insurance While the money-saving implications of a Windstorm Mitigation Inspection are primarily linked to the savings on the policy premiums. Homeowners also gain expert knowledge on how they can physically improve their homes to withstand the forces of nature. In case a storm actually does materialize with the potential to damage their property, homeowners can save money if their properties have structures that can withstand those storms and avoid damage. Why get a Windstorm Mitigation Inspection on your home? If your home has undergone a Windstorm Mitigation Inspection you are potentially eligible for insurance discounts or credits from insurance companies.Insurance companies increase their odds of insuring more secure, less damage-susceptible properties in targeted areas. 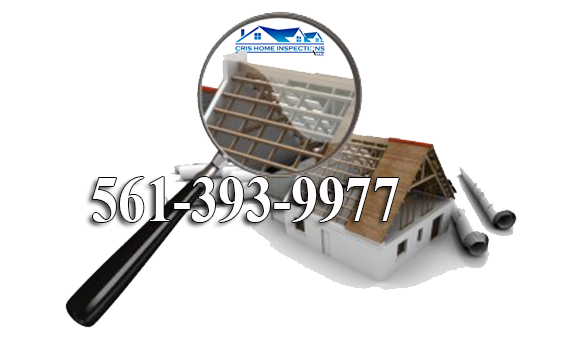 In Palm Beach County if your home was built on or after January 1st, 2012 you are eligible for minimum FBC 2001 credit. In Broward/Miami-Dade if your home was built after 1996, you are eligible for an opening protection class C credit. If your home was built after 2002 or later you are eligible for opening protection class A credit. 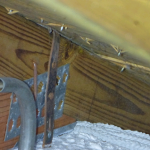 Here are something’s that the Inspector will look at during a Windstorm Mitigation Inspection of your home. Cris Home Inspections – About us. Welcome to Cris Home Inspections! Cris Home Inspections is the most trusted and reliable name in the field of Complete Residential Inspections Services in South Florida. We have been serving thousands of clients since 2000. Our Inspectors are highly qualified, as well as Internachi certified, licensed, bonded and Insured with over 10 years’ of experience and skill to cater to your all your Home Inspection needs. We serve clients in Martin County, Palm Beach County, Broward County, and Miami/Dade County. Why Choose Cris Home Inspections? Cris Home Inspections is a name that offers client’s a number of advantages. 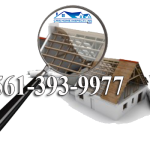 Our company is solely dedicated to the task of conducting Complete Residential & Commerical Inspections Services. At Cris Home Inspections we strive to be a company that really specializes in Residential/Commerical Inspections. Complete Residential Inspection Services – Our Inspection Services include 4 Point Inspections, Windstorm Mitigation Inspections, Citizens Roof Certificate Inspections, Commercial Property Inspections and Home Inspections. Recognizing all the needs for repairs so that buyers and sellers can both benefit from them accordingly. Certified and Experienced Professionals – All our Inspectors are Internachi certified and have over 10 years’ experience. We are proud to say that our Inspectors are also dedicated and serious about their work. Reliable and trustworthy – For years we have provided our services to thousands of clients who have not only found our work reliable but, also rely on the name of Cris Home Inspections. We maintain that level of reliability and trustworthiness for all our clients, knowing that their trust comes first. Our focus remains on maintaining professionalism. We know that, in order to stay a successful and reliable name, we need to be professional in all aspects, so that our clients can be content knowing that the Inspection was handled professionally throughout the entire process. Internachi Home Inspectors consist of experienced and skilled professional Inspectors who are licensed by the renowned organization of International Institute of Certified Home Inspectors. contentment and peace of mind. Here at Cris Insurance Inspections you can rest assured that we are dedicated, reliable and will offer accurate services. Call us today #561-393-9977 & #954-523-4040 to set up your next Inspection with our Internachi certified Inspectors. The Complexity relates to storm threats inflating your Home Insurance premiums, because storms are such a big Insurance and financial risk. All is not lost however. You definitely don’t have to subject yourself to higher premiums even if you’re home is located in an area that is vulnerable to damaging windstorms and hurricanes. What is a Broward Windstorm Mitigation Inspection? A Windstorm Mitigation Inspection could be commissioned by an Insurance Company, or it can be initiated by the homeowner. high-risk areas, it becomes imperative for homeowners to take this initiative. withstand those storms and avoid damage. worked into one’s Home Insurance premiums quote. At the end of the day, insurers assess the amount of risk tied to their contractual arrangement with homeowners. A Windstorm Mitigation Inspection plays a major role in reducing that risk, which ultimately affects the calculated Insurance premiums. How a Broward Windstorm Mitigation Inspection Can Save You Money.